Opening day is upon us, and I hope you’ve brought your appetite! 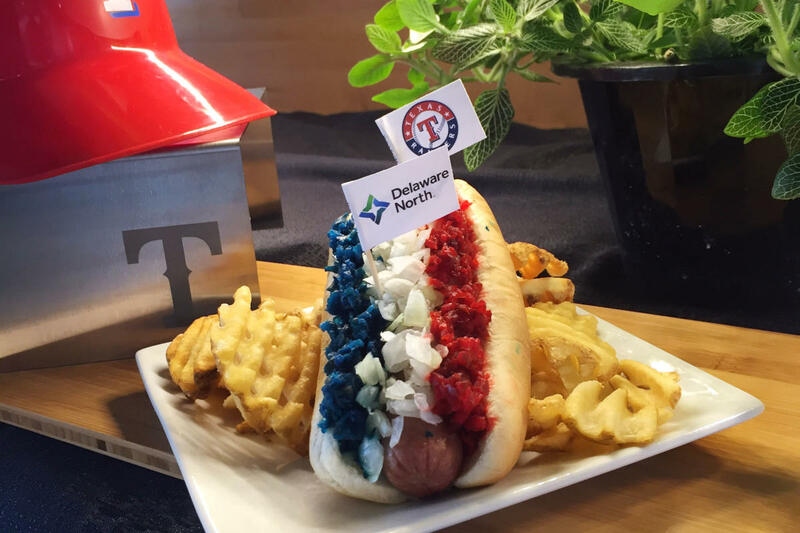 The Rangers chefs have brought their "A-game" again for the final season at Globe Life Park. There’s something for every palate with these creative concoctions. I wasn’t sure what to expect from a chicken tender as long as my arm… but it was DELICIOUS. This juicy tenders are hand battered and fried to perfection. 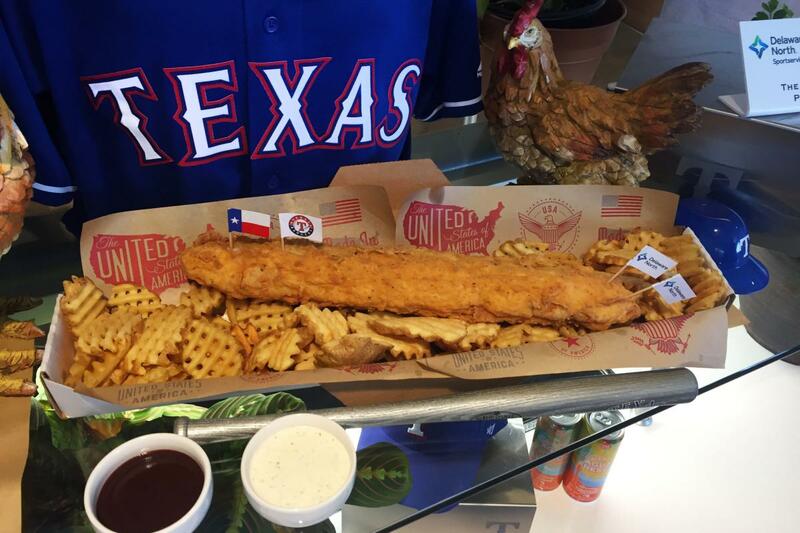 This Texas-sized tender is a whopping 2lbs and can feed the whole family. As if that’s not enough, it even comes with waffle fries and honey mustard and ranch dressing for dipping sauce. Wings are good. Bacon is good. Wings and bacon? Heavenly. I tend to be a skeptic of “bacon makes everything better,” but with every bite the bacon made the most satisfying crunch. These hybrid snacks are saucy, crispy and the ultimate savory treat. 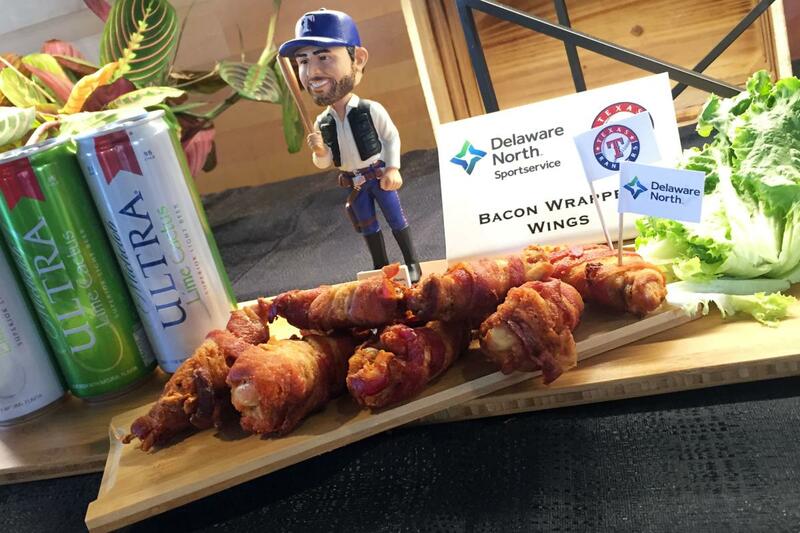 I’m no vegan (if you couldn’t tell from the first two meals) but PETA named Globe Life Park as one of the most vegan friendly ballparks. Seasoned well and filled with flavor, these tacos won’t disappoint. This fresh take on street tacos can satisfy all – meat eater and vegan alike. 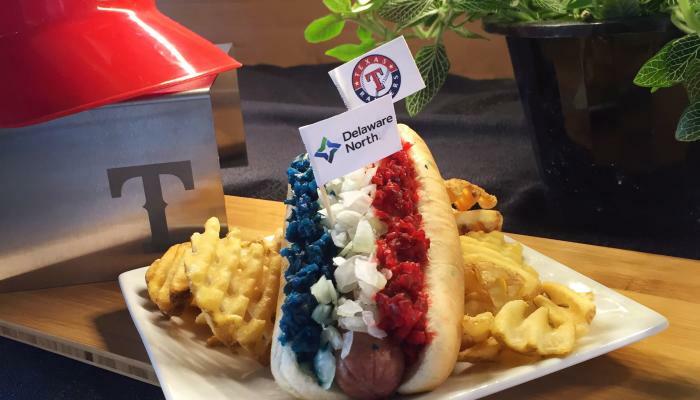 A couple of other items I’m looking forward to are The RWB (Red, White & Blue) Dog and a Fried PB & J. The RWB is no ordinary hotdog. It features Glorious Gherkins relish in Texas Rangers Red and a blue Texas Chili. The Fried PB & J takes your childhood lunch to the next level. Crustless and deep fried, it can be found at the State Fare Stand at Section 41. 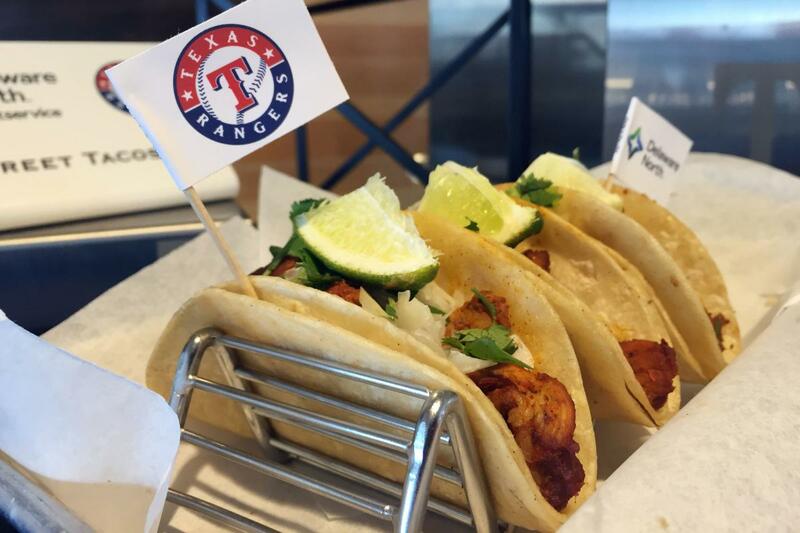 Just remember – it’s not breaking your diet if it’s at the ballpark!